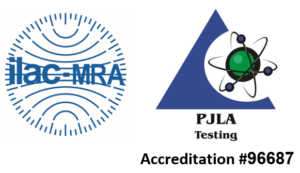 We are an Independent Test Lab. Need Recovery from a Third party? Using our high technology tools, we’ll investigate whatever samples you bring and give you a professional engineering opinion. You’ll know how a product failed and what steps to take to prevent the problem from occurring again. We provide in depth research and supportive documentation backed up by scientific evidence for all claims investigations. Comprehensive testing can provide individuals, insurance companies, businesses, and attorneys the information for appropriate actions on potential fraud claims. Our employees are trained and highly experienced in the matters of claims investigations. The highest standards of honesty, integrity, and confidentiality guide our investigative services and we guarantee accurate and safe record keeping for potential follow-up investigative work. Our test procedures and actions are consistently in the best interest of our clients and reported without bias. We offer consultation and advice to insurance carriers, third party administrators as well as the insured. 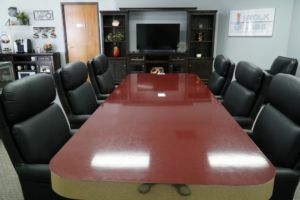 Our executive area, near a large sample selection room, has separate huddle rooms and a conference room equipped with easy chairs and cold beverages. The huddle rooms allow for private retreats for personal interests or conversations between groups. Want to work while your expert collects data? 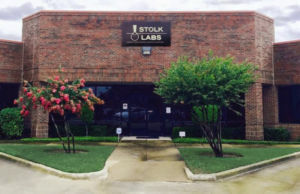 Stolk Labs offers four dedicated task desks to make paperwork on other matters achievable during visits. 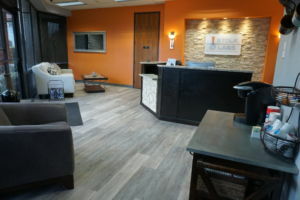 Our huddle rooms allow for private retreats for personal interests or conversations between groups. 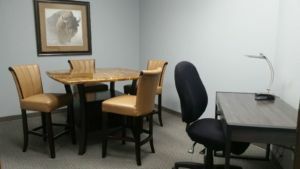 Our conference room is equipped with easy chairs, a coffee bar and cold beverages. 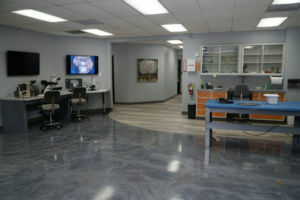 Our open floor plan is designed to expedite test specimens from one set of test instruments to the next. We currently serve manufacturing, aerospace, automotive, legal, biomedical, oil and gas, power generation, microelectronics and telecommunications industries and sectors. Don’t see your industry listed here? Give us a call. 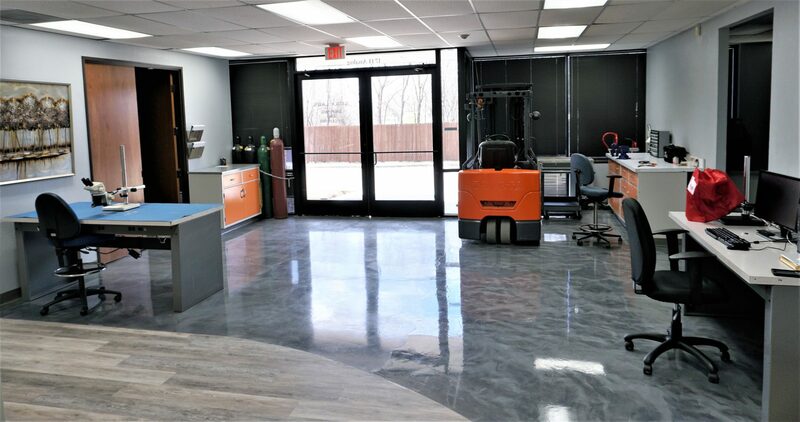 Our engineers, scientists and technicians have over 75 years of combined experience and have problem solving skills in a variety of industries. Our centralized location means easy navigation for out-of-town clients to-and-from the surrounding major hotels and restaurants. Contact us today! We are confident we can help you.